The Broads National Park boasts more than a quarter of all of Britain’s rarest species and customers have been making the most of this by spotting lots of wonderful wildlife on holiday with us. 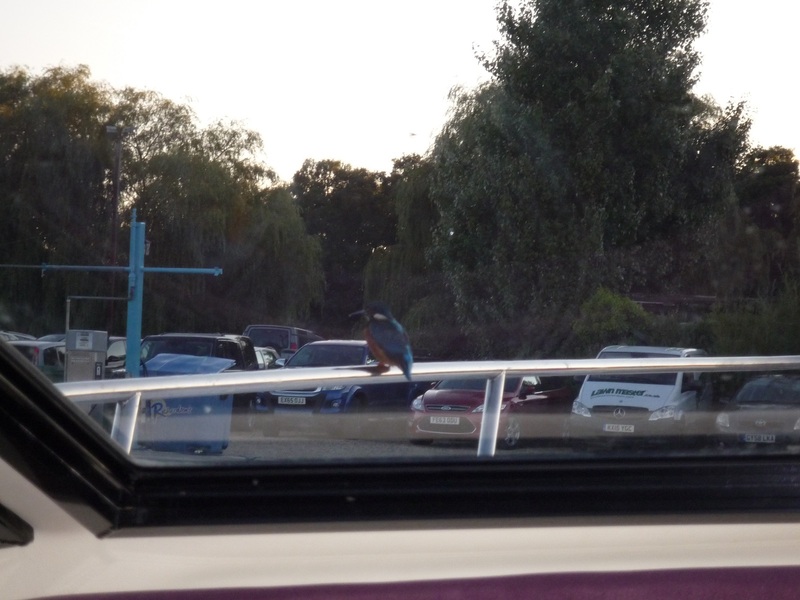 We were very pleased to be sent this unusual picture by George Walker, who explored the Broads on Fair Commissioner when a Kingfisher suddenly appeared on the cruiser while he was moored up at a boatyard. Earlier this month we enjoyed regularly watching a family of kingfishers raising their two youngsters on the river at the downstream entrance to Salhouse Broad. We usually saw them flashing past low to the water but on occasions the young birds were happy to remain perched on a fallen tree branch as we quietly passed them – giving a wonderful view. Another hotspot has been on the river between Wroxham Broad and Wroxham village where two kingfishers were regularly chasing each other. This is likely to have been either parents pushing this year’s young out with autumn upon us or a territorial dispute. We haven’t had to go far to see otters this year, with some fantastic sightings in our own boatyard! 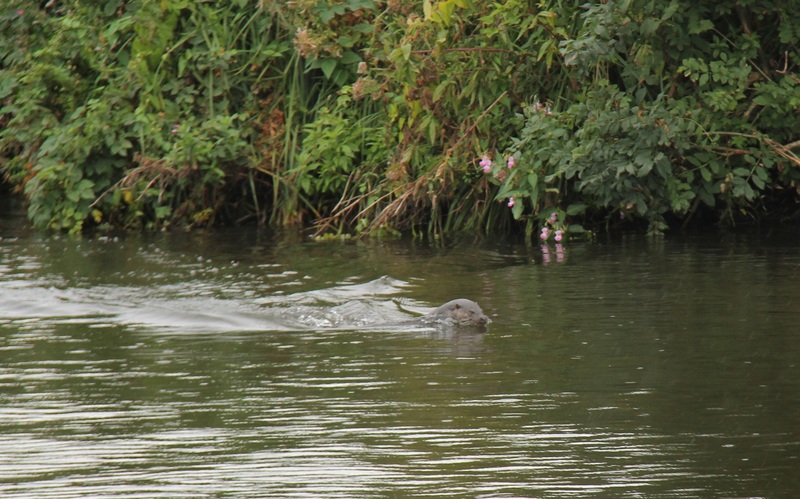 People staying in our waterside holiday cottages have had these magical mammals swim right passed their gardens, while some of our boating customers have been lucky enough to see otters before even reaching the river! Perhaps our most amusing encounter with these enigmatic creatures was when a female otter popped up right underneath Skipper, Tom, in his small dingy. “I was tying up my punt when an otter suddenly appeared from underneath the boat and gave me quite a surprise,” Tom explained. Our passenger boat skippers, from our sister company Broads Tours, are also reporting regular otter sightings on the river. David Seaford, a passenger aboard the Queen of the Broads, took this lovely picture of an otter during his trip and was kind enough to send it in to us. There has been just as much wildlife of a feathered variety for our customers to spot. Majestic marsh harriers have been gliding over the reed and sedge beds around Horning reach, while Skipper Oli was lucky enough to see a Little Egret. “The beautiful white wading bird with a long dark pointed bill and long dark legs flew out in front of my boat from the reed beds, where it had presumably been feeding on invertebrates. I watched it fly upriver for several magical moments after it crossed in front of my bows,” Oli explained. Customers have enjoyed mooring up at Hoveton Great Broad Nature Trail this spring and summer and the reserve’s ranger, Elaine, was really pleased to spot a Bittern there for the first time flying very close to the bird hide she was in. The highly endangered bird which is related to the heron with brownish striped plumage, providing perfect camouflage as it hunts in reed beds, is one of the Broads’ most revered species but also one of the most rarely seen. Despite this we have also been lucky enough to spot a Bitterns on the river around Horning reach earlier this year. Coots may be a rather humbler bird but are no less synonymous with our National Park having been the inspiration for Arthur Ransome’s fifth Swallows and Amazons book – Coot Club, which was set on the Broads. We have seen growing number of these birds on Salhouse Broad, with around 14 spotted together last week. 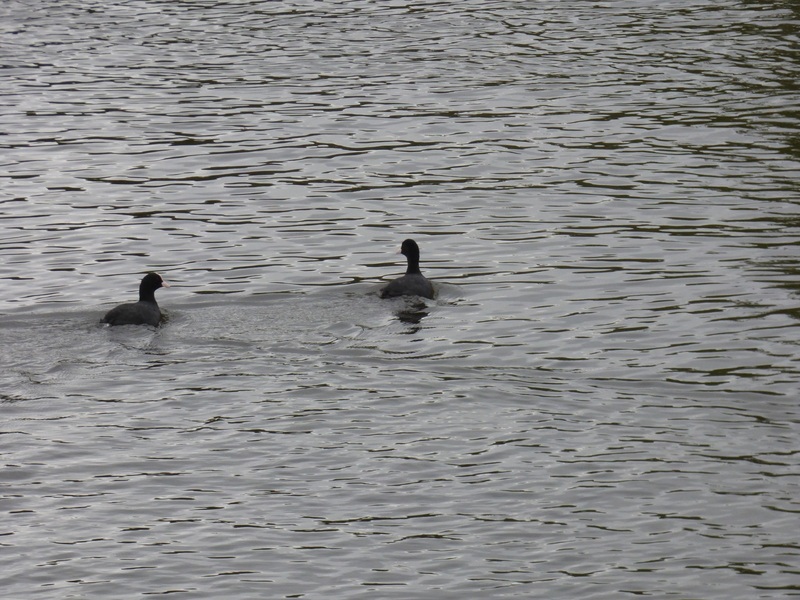 This is promising news as we have seen far fewer coots on the Broads in recent years, with their mysterious decline most likely to be associated with increasing predation from growing otter numbers. 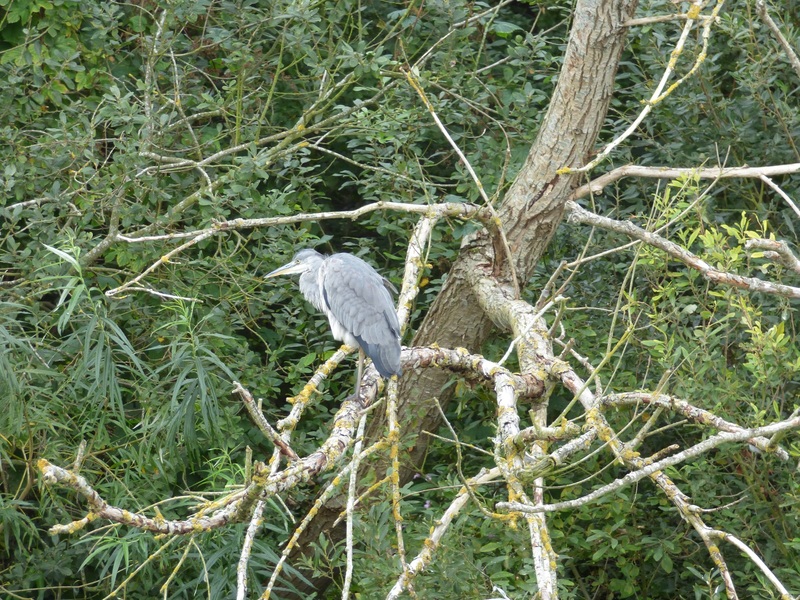 Herons are another bird we have seen in large numbers recently and Oli managed to take this picture of one perched up a tree. Finally, we will end the blog with this picture quickly taken by Laura Greasley on her phone one evening. 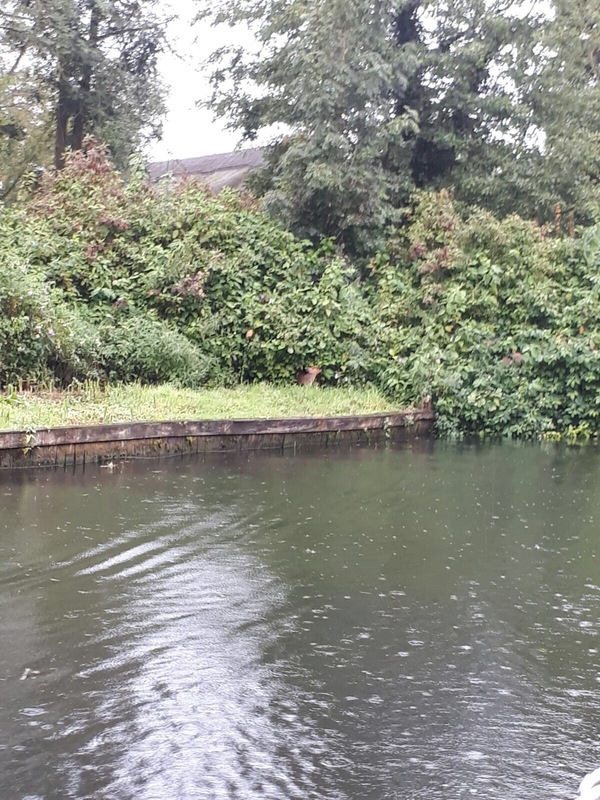 If you look closely there is a deer peering out of the hedge from a riverside Garden in Wroxham – it’s surprising what may be watching as you head down the river!